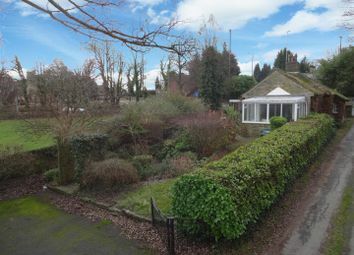 No Chain Sale and an exciting opportunity to purchase this truly one off detached lodge/bungalow which is now in need of modernisation and updating yet offers exciting potential to simply update or update and extend to offer a layout and finish to match ones own requirements. 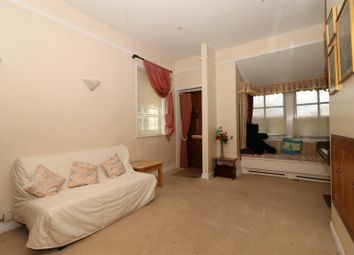 Currently One/Two bedrooms with extensive reception space. 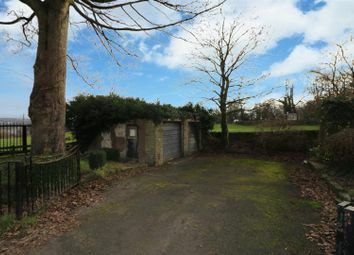 Such a great size plot with detached double garage and large gardens with field and valley views beyond! A one off in calverley village! From our office at New Road Side, Horsforth (A65) proceed up to the Horsforth roundabout and turn left into The Ring Road (A6120). Proceed down the hill and at the Rodley roundabout turn right into Rodley Lane, this in turn changes into Towngate. 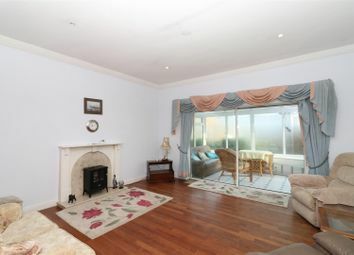 Continue along for a short distance and the property can be found on the right hand side, identified by our 'For Sale ' Sign. Post Code LS28 5NW. Calverley Village offers a thriving village atmosphere. 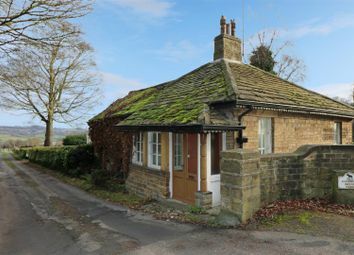 Situated between Leeds and Bradford, with excellent access links into the City Centres making commuting straightforward. The A658 and A657 both provide major links to the motorway networks and for those wishing to travel further afield, Leeds-Bradford Airport is a short drive away. A new train station has opened at Apperley Bridge which gets you into Leeds in ten minutes. Just along the A657 is a shopping complex where a Sainsbury's supermarket and other major retail outlets can be found. The popular Owlcotes Centre at Pudsey offers Marks & Spencers & Asda Superstores, with New Pudsey train station adjacent. 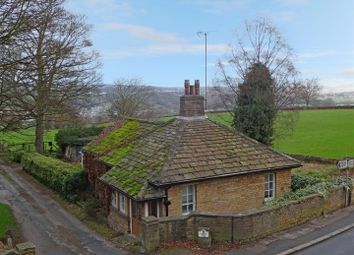 The Village has two primary schools, Calverley Church Primary School, and Calverley Parkside School, a park, Village pubs and a handful of local amenities are on hand, in addition there are also two golf courses nearby. 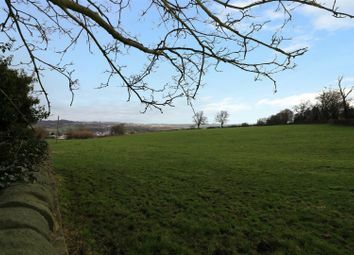 Only a short car ride away are the neighbouring 'villages' of Horsforth, Guiseley, Rawdon and Farsley where a further selection of shops, pubs, restaurants and eateries can be found. A charming reception room with light, neutral wallpaper decor theme. Useful storage cupboard which was used as a T.V cabinet, with television aerial point. 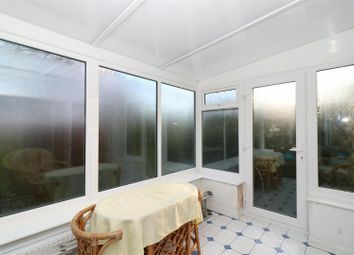 Multi-paned bay window which lets in lots of natural light and has a window seat from where you can sit and look out towards the front elevation. 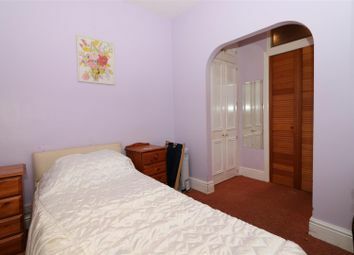 There is potential to remove the front door and create a hallway and another bedroom if desired, subject to permissions. The kitchen would respond well to a scheme of up-dating but is currently fitted with a basic range of wall, base and drawer units with speckled work-surfaces. Inset stainless steel sink, side drainer and modern mixer tap. Gas and electric cooked connection. Fully tiled. Multi-paned window to the front elevation and window to the side elevation too for maximum light. A very useful room which takes care of the practical requirements of the house. 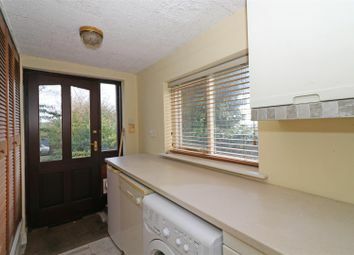 Fitted with storage units and complementary speckled work-surfaces. Plumbed for a dishwasher and washing machine and point for a fridge/freezer. Wall mounted central heating boiler. Useful storage cupboard. Windows to the front and side elevations. Timber and glazed door and window to the rear elevation which provides a pleasant garden/field view. 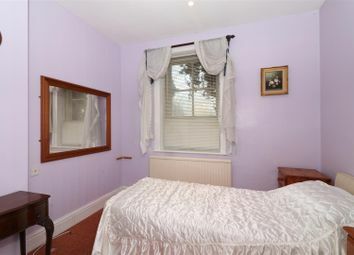 A double bedroom with light, neutral decor theme. Useful fitted wardrobes which provide good hanging and storage space. Television aerial point. Multi-paned window to the side elevation. 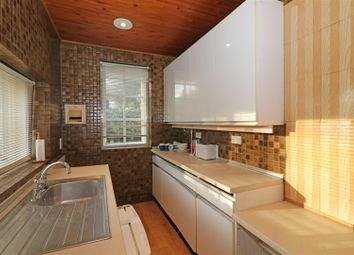 With light neutral decor theme and practical ceramic tiled floor. Central heating radiator. Door to the side elevation and wonderful long distance valley and field views. Fitted with a white three piece suite comprising tiled/panel bath, bidet, WC with concealed cistern and pedestal wash hand basin. Half tiled with wallpaper to the remainder. Window to the rear elevation. The bathroom would respond well to a scheme of modernisation. At the front of the property there are flower beds and stone walling. 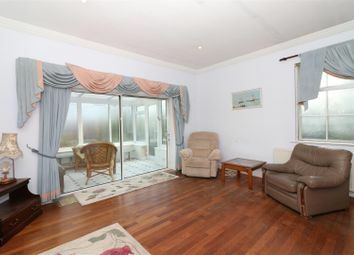 At the rear of the property there is a sweeping patio area which takes in the wonderful views. This area is ideal for outside dining, relaxing, having a drink with friends etc. There is a lawn with deep set flower beds. Yorkshire stone path leading to a wide and deep set flower bed with holly bush and evergreens. 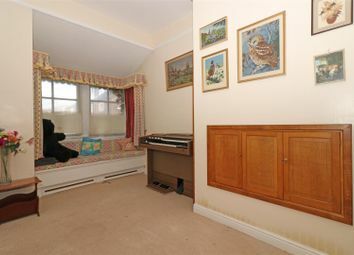 An archway leads to the driveway which provides ample off-street parking and in turn leads to a detached double garage. 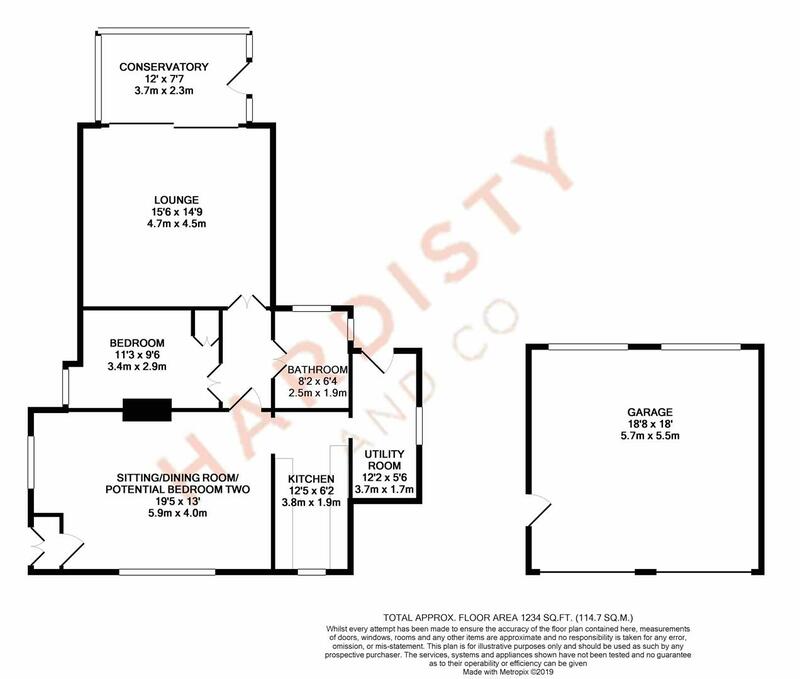 This property is freehold, however, the garden is leasehold under Thornhill Estates, there is a 999 year lease and a 'peppercorn' rent is payable by the new owner of the property.